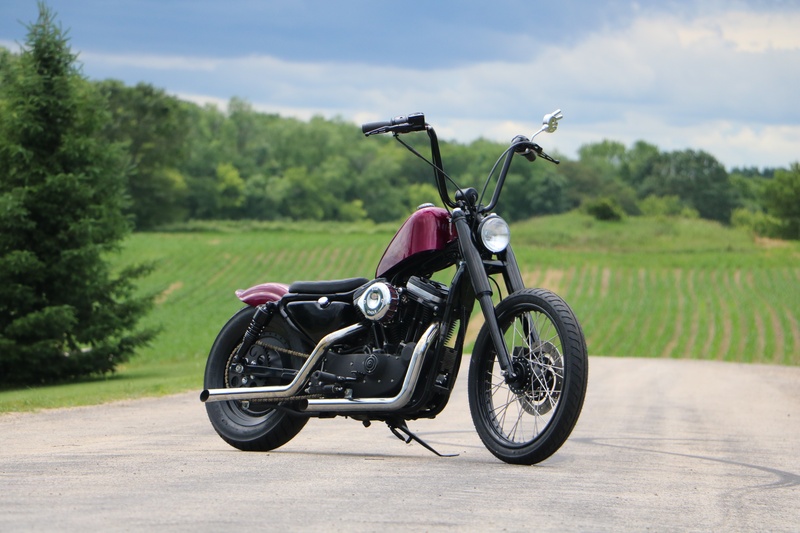 As you might expect, many of the folks that work at S&S Cycle are rabid fans of two wheeled performance and many modify and build their own bikes. With that in mind, this week’s build spotlight covers an angry high bar HD® Sportster®, built for the 2017 edition of Born Free in So Cal. 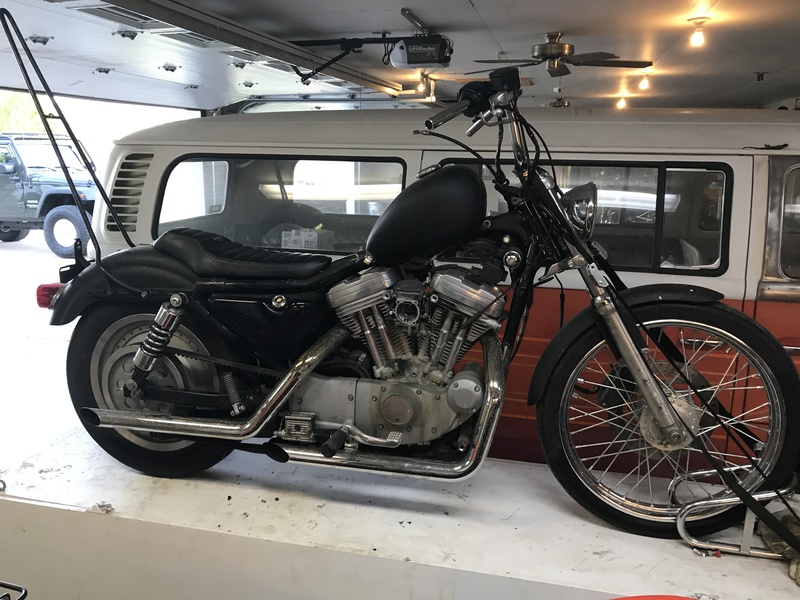 Owned and constructed by David Z, who works in our marketing department, the Sporty had started life as a 2000 XL883 Custom some twenty odd years ago and since that time has been hacked up, ridden hard and rarely saw a garage. 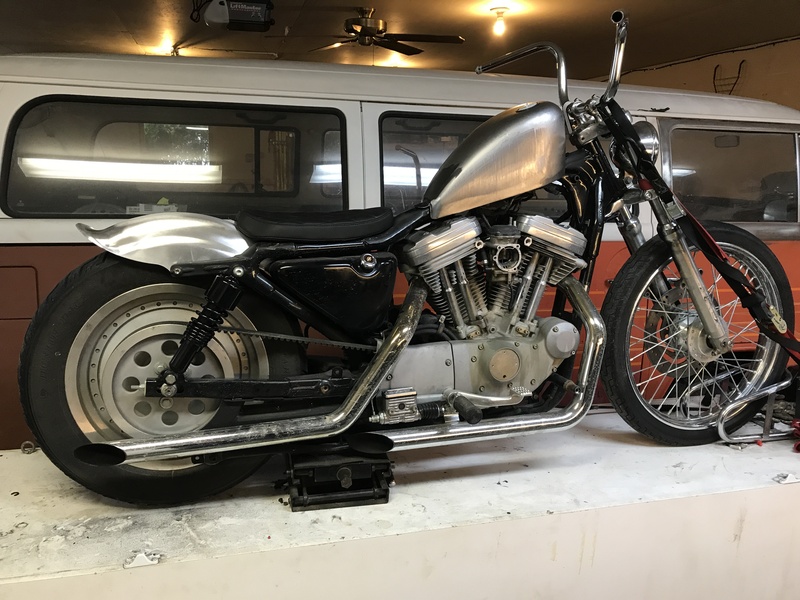 In spite of decades of neglect, the HD® Sportster® is pretty tough and the parts that mattered were still intact and usable. 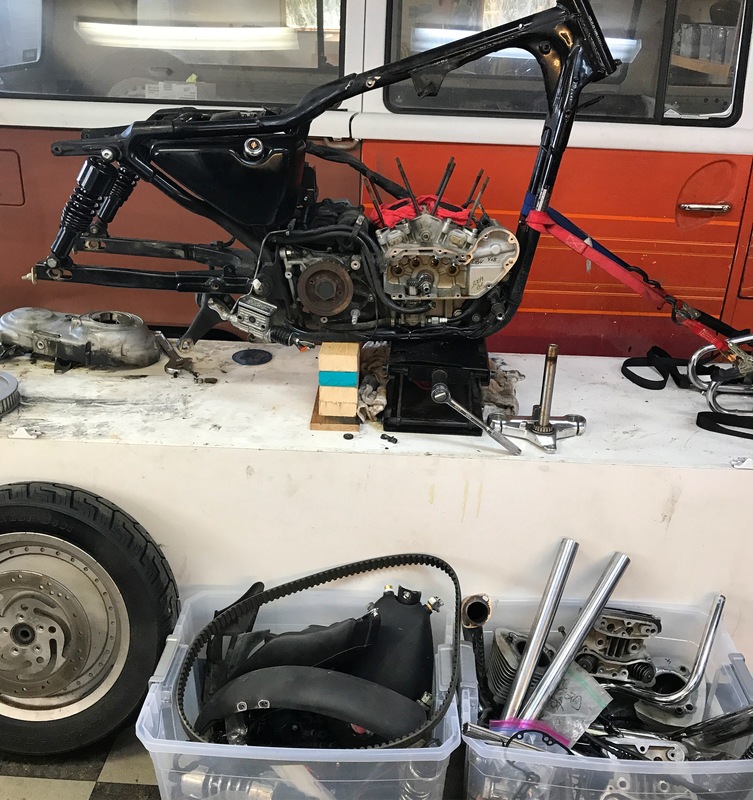 David stripped the bike down, trimmed off the fender struts and cleaned up the frame. It didn’t take long before all that remained on the bench was a chassis and lower end. 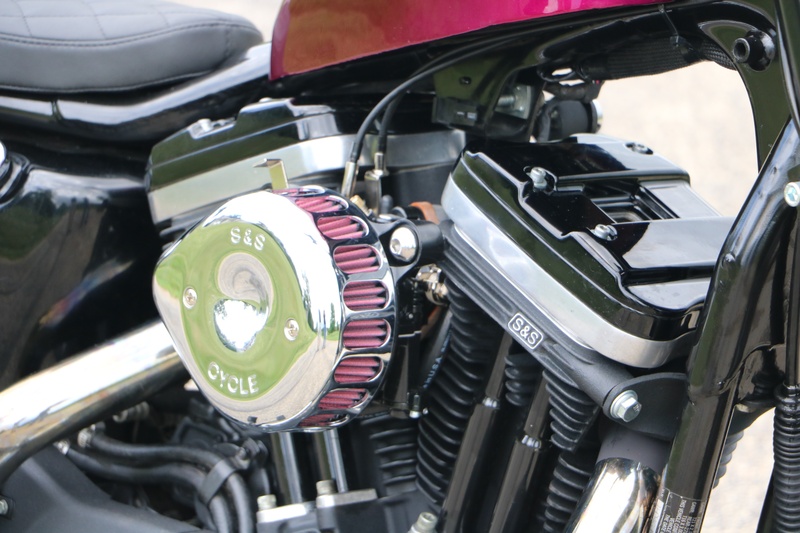 Naturally the bike would see an infusion of horsepower, in this case in the form of ported Super Stock heads on top of high compression 1200cc cylinders/pistons and 500 lift cams, all fed by a bored out S&S E Carb (in black!) and topped off with a new Mini Teardrop air cleaner. 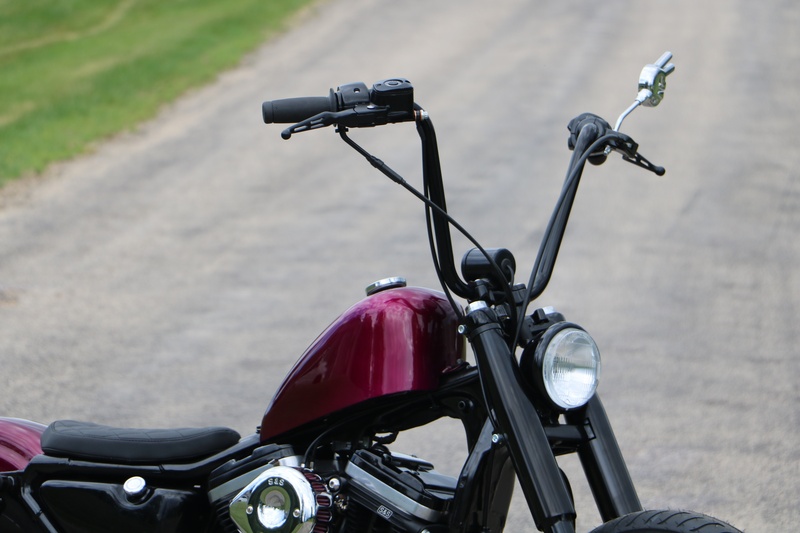 Body was reduced to a Lowbrow Customs Tsunami fender and their narrow tank now painted in House of Kolor purple. Suspension is by Burly Brand as is the 12” apehangers, matched cable kit and solo seat. 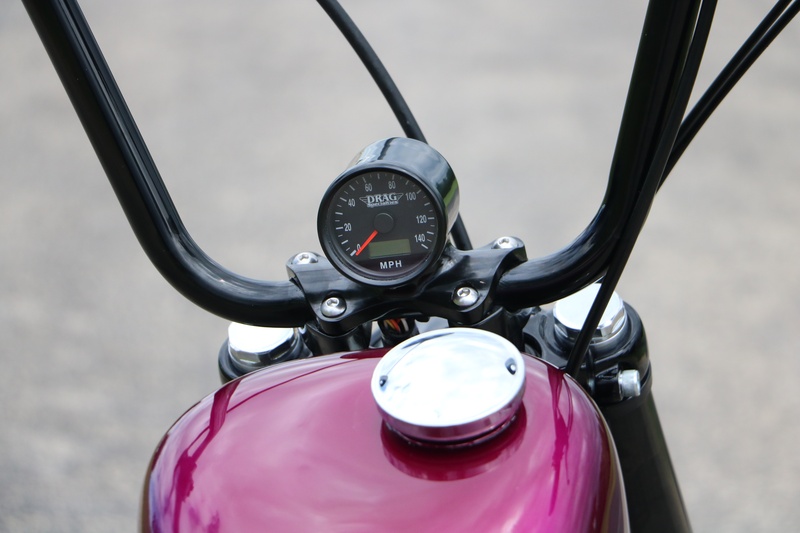 Gas Box speedo/top clamp keeps things legal and tidy. Fors are wrapped in Lowbrow Customs uppers and everything is powdercoated black. 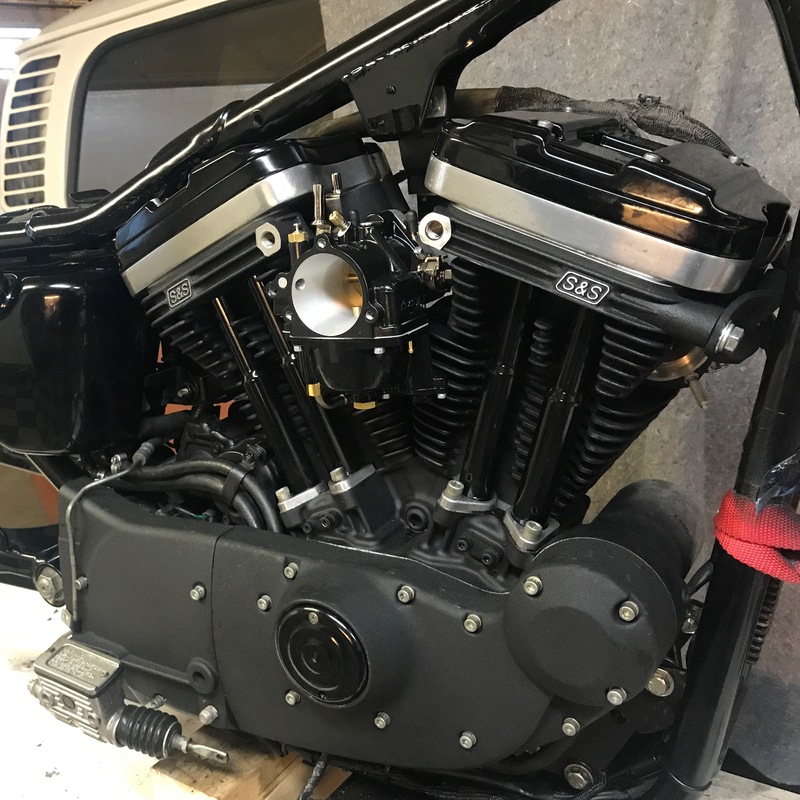 Finishing touches include Biltwell grips, pegs and ignition cover as well as Rusty Butcher derby cover. Pushing close to 100Hp, the bike looks and sounds more than a little pissed off and is a blast to ride. 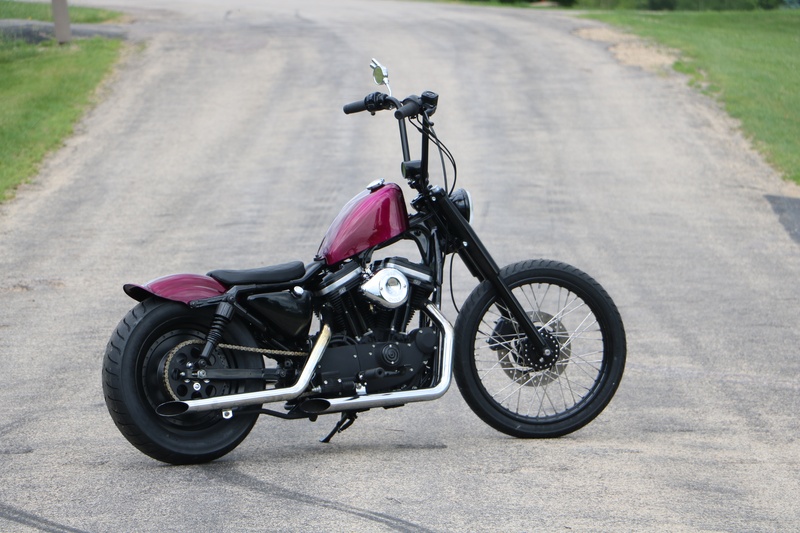 David says he’s working on a custom S&S exhaust next and will likely swap to a better handling 19” front wheel.